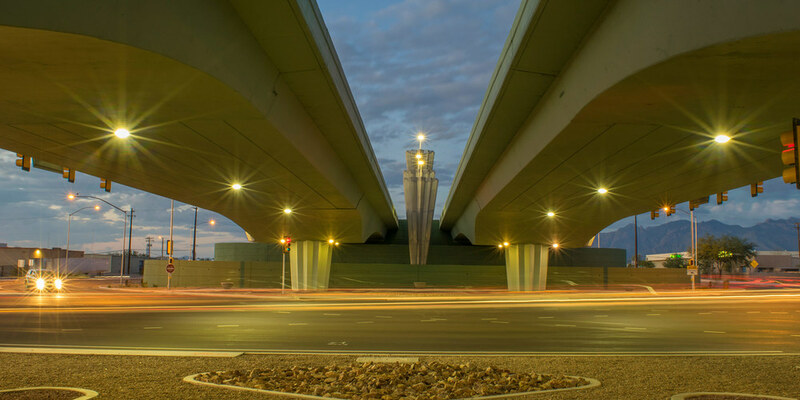 Kino Parkway At 22nd Street Interchange, Tucson, Arizona, USA. 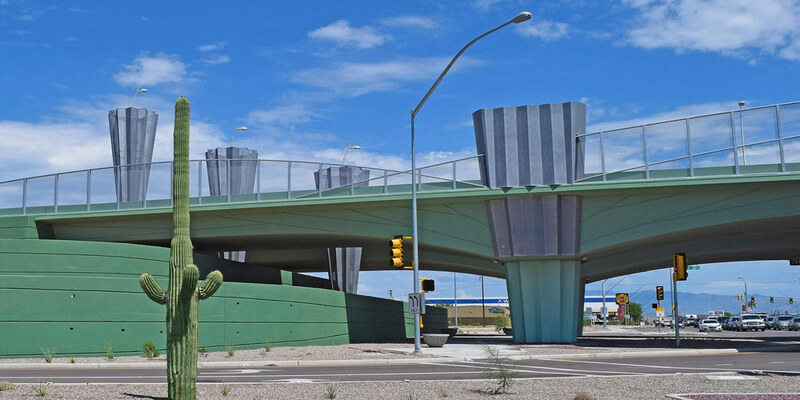 Sculptural treatment of the major interchange bridge connecting Kino Parkway over 22nd Street. 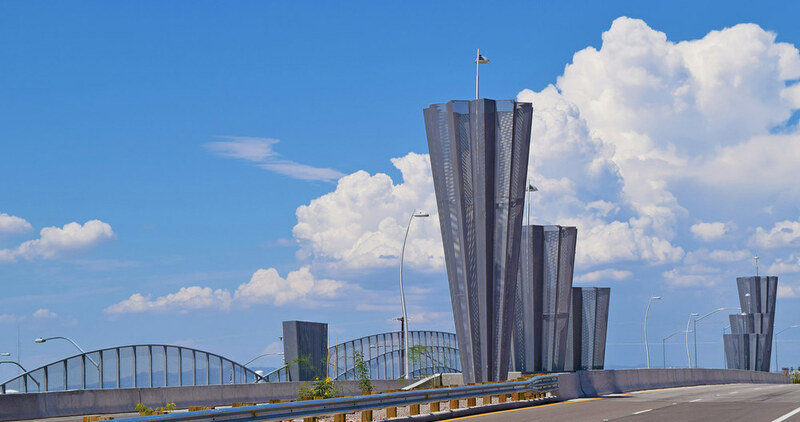 This gateway entry point to downtown Tucson and the University of Arizona from the airport includes 14 large sculptural elements integrated into the overall layout of bridge. The bridge piers echo the sculpture forms’ design. Inspiration for this cohesive artwork was the cross section of the Saguaro cactus, uniquely native to the Sonoran desert locale. Pedestrian rail arches additionally pull together all of the sculptural elements of the bridge. The sculptures are lighted at dusk creating a safe and welcoming atmosphere for commuters around the clock. The bridge pier forms, railing, and artwork were designed by the artist and integrated into the bridge architecture. Commissioned by Regional Transportation Authority, and the City of Tucson.